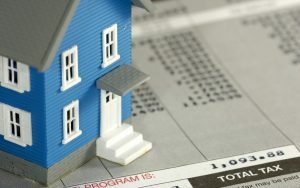 How Do Changes to the Property Transfer Tax Affect You? As part of BC’s recently introduced provincial budget, some tweaks were made to the Property Transfer Tax that will affect home buyers. A new 3% PTT rate will apply to the portion of all home sales that exceed $2 million. For homes that sell for below $2 million, the Property Transfer Tax will continue to apply at a rate of 1% on the first $200,000 and 2% on the balance. For a $3 million home, the Property Transfer Tax will rise by $10,000 to $68,000. In 2015, about 8% of homes sold in Greater Vancouver went for more than $2 million. A New Housing exemption to the PTT will apply to newly built homes or newly subdivided units priced up to $750,000, saving buyers up to $13,000; and a partial exemption on newly built homes priced $750,000 to $800,000. About 31% of homes sold in Greater Vancouver in 2015 were below $750,000. First time home buyers are still exempt from Property Transfer Tax on purchases of used homes valued at $475,000 or less. Provide me with some detailed information and I can provide you with a fair market value.